Welcome to our Web site! This is where you can learn more about us. Please check back for more updates soon. 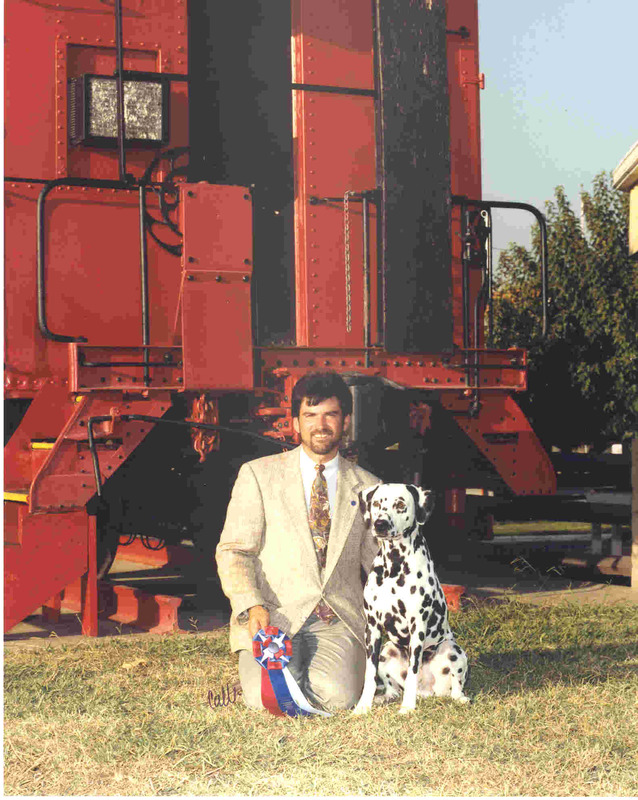 We have been showing Dalmatians in conformation and obedience since 1968. Our Dals are bred first for sound temperaments, then as healthy, fun-loving pets, and finally as very successful show dogs. We have owned or bred over 100 Champions and many obedience, road trial and tracking title holders. We are very active at both the local and National level in organizations dedicated to the Dalmatian. We have both served multiple terms on the Board of Directors of the Dalmatian Club of America (DCA). Both Eva and Ken have served as Chair of the DCA Health and Research Committee, and Eva and Ken have both been President of the Dalmatian Club of America Foundation, a non-profit organization dedicated to the the health and welfare of the Dalmatian. We are founding members of Dalmatians of North America (DNA), the parent club within the United Kennel Club (UKC). We chair major committees and are dedicated to the success of this organization. We are also founding members of the Dalmatian Health and Research Institute (DHRI) and are actively working to help this 501(c)(3) organization identify Dalmatian health issues and raise the necessary funding to support promising research. We are also members of our Regional Dalmatian club, the Dalmatian Club of Northern California, and have held almost every possible office in the organization. We also support the Dalmatian Club of Canada with our membership. We are both American Kennel Club judges. Eva is licensed to judge all of the Sporting, Working, and Non-Sporting Breeds and Groups, and Junior Handling, Miscellaneous Breeds, and Best in Show. She is also judges several Hound breeds. Ken is licensed to judge all of the Non-Sporting and Toy Breeds and both Groups, Miscellaneous Breeds and Best in Show. He also judges several Terrier breeds. Both Eva and Ken have judged throughout the United States as well as internationally.